international independent film award winner. 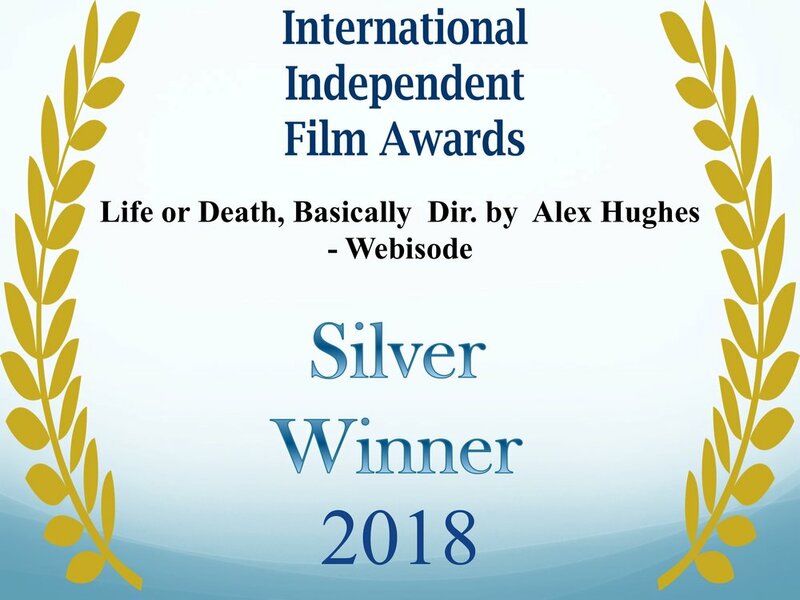 Life or Death, Basically, which Alex directed and produced, was selected as a Silver Winner in the International Independent Film Awards. Read more about the IIFA here. new media film festival official selection. 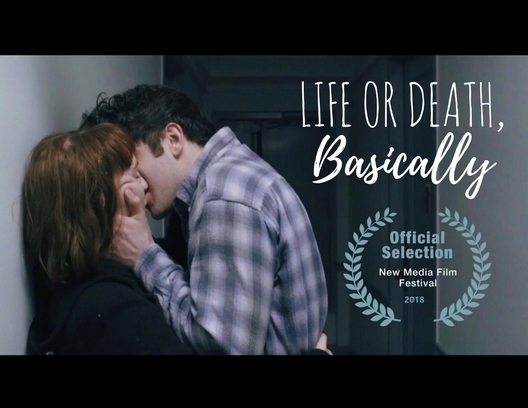 Life or Death, Basically, which Alex directed and produced, was an official selection for the 2018 New Media Film Festival, and had its world festival premiere and Los Angeles premiere at the festival in June. Read more about the New Media Film Festival here. Alex starred as Craig in the world premiere of Splinter and Crack at Juniper Productions in Philadelphia. Splinter and Crack was written by Jessica Bedford and directed by Harriet Power. life or death, basically premiere. Life or Death, Basically, which Alex directed and produced, premiered its first season on January 27. Read more about Life or Death, Basically here. Alex starred as Sandeep in an acclaimed production of Aaron Loeb’s Ideation at Theater Exile in Philadelphia. Ninety minutes from now, a group of stressed-out corporate consultants is slated to present their work on a mysterious project. It's time to brainstorm within the morally ambiguous parameters they've been given so they can make it to their kids' soccer games and continue their ill-advised affairs. But as they work, the question of what they aren't being told looms ever larger, becoming harder to ignore. If something truly monstrous is going on, it wouldn't be happening over Starbucks scones... would it? A ferocious and hilarious thriller. Ideation was directed by Theatre Exile founding artistic director Joe Canuso. "A stellar cast of five delivers hilarious tour-de-force portrayals... ... The top-notch performances – each and every one is uproarious – build to a frenzy... Theatre Exile at its finest, funniest, and most ferocious." "A deliciously tense production... ... The play’s real strength — and the production’s, too, with a bang-up cast — comes from the conundrum it poses by pitting the greater good against a great evil." "This will make Glengarry Glen Ross look like child's play... ... A play that races on, both terrifying and amusing... ... Joe Canuso has directed this strong cast with just the right ambiguity of tone." Alex is featured in the new web series Middle of Somewhere. Watch the trailer below. Alex starred as Abe in Disgraced at the Black Box Performing Arts Center in Teaneck, New Jersey. Winner of the 2013 Pulitzer Prize, Disgraced centers around Amir Kapoor, a successful Pakistani-American lawyer who is rapidly moving up the corporate ladder while distancing himself from his cultural roots. Emily, his wife, is white; she's an artist, and her work is influenced by Islamic imagery. When the couple hosts a dinner party, what starts out as a friendly conversation escalates into something far more damaging. Disgraced was directed by Black Box PAC artistic director Matt Okin. chain nyc film festival official selection. Bound: The Series, which Alex co-wrote and co-created, is an official selection for the 2017 Chain NYC Film Festival. Bound will be screened at the festival on Tuesday, August 8 at the Wythe Hotel in Brooklyn. It will be screened along with four other LGBTQ shorts. Read more about the Chain NYC LGBTQ screening block here. Bound: The Series, which Alex co-wrote and co-created, received an Honorable Mention in the LGBTQ category of the Top Shorts Festival. It was the top voted audience short and one of the top 7 LGBTQ shorts in the Audience Awards. Read the Audience Awards article about the LGBTQ Top Shorts Festival here. Alex recently starred in Love Letters Made Easy with the AlphaNYC Theater Company. Bound: The Series, which Alex co-wrote and co-created, was an official selection for the 2017 LGBTQ Shorts Festival and the Top Shorts Festival.